Available in a wide range of materials and styles. Mainly use of insulating textiles is as insulation used primarily to control temperature in industrial operations as a result of bottom line cost savings. By avoiding the added energy generation necessary to heat and cool equipments, insulating textiles continues to be a benefit to the environment by helping to reduce pollution emissions. Fiberglass insulation is a cost-effective, energy-saving product that saves money for businesses through lower utility bills. In addition, adequate levels of fiberglass pipe insulation for industrial processes have helped make industry more efficient and more profitable by cutting energy losses and decreasing production costs. 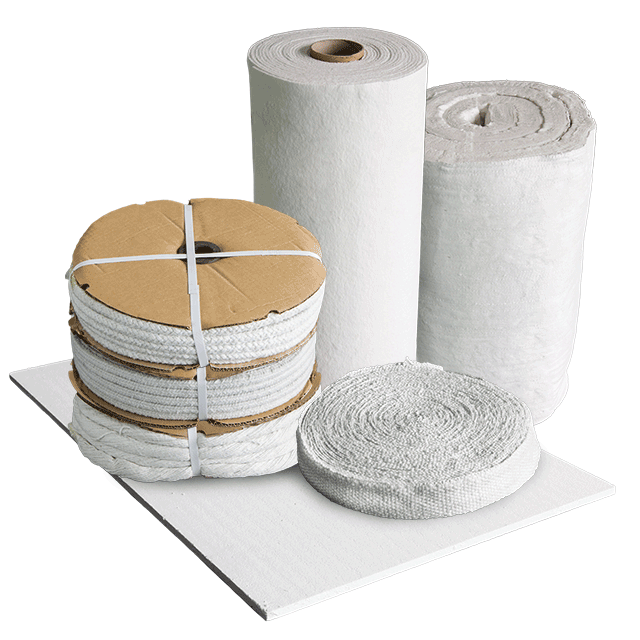 Ceramic fiber is a light weight insulating product. It has low thermal mass which means that it does not retain heat, low thermal conductivity and is an extremely effective insulation material with service temperature range of 1260°C.